StudioXphys in Mudgeeraba includes Podiatrists as a unique part of the team with their expert knowledge of the foot and how it helps your whole body move. 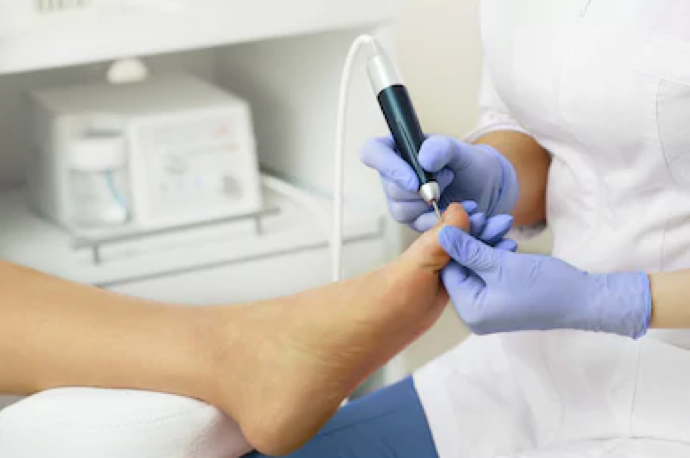 Our Podiatrists have the experience and advanced training to assist in your recovery of foot and leg injuries, and to provide the support and strength your feet need when rehabilitating back to working and sporting performance. Podiatrists focus uniquely on problems concerning the foot and lower limbs. Your body functions as one single moving part rather than in separate segments, and it is important to realise that your feet provide the foundation for these movements. This principle holds true for young children and adults, right through to elite sports people or the elderly. Our culture at StudioXphys is to help provide access to the experiences you enjoy, and goals you want to achieve. However pain or injury to your feet and legs can immeasurably impact on these experiences, or in some cases even prevent you from doing the things that make you happy. Foot pain can create problems for tasks you may complete on a daily basis, whether it’s routine exercise, socialising with friends, or moving and standing around your workplace. Developing this pain can also create yet another barrier standing in the way of your health, exercise or life goals. We will help provide solutions to your pain and develop our treatment plan based on your expectations and the goals you want to achieve. We play a ‘team ‘game and view your pathway with us as a holistic approach from start to finish. Our Podiatrist has accelerated their training and is leading the way in the profession with the integration of manual therapy techniques, Shockwave therapy and orthotics. Resolving your pain is the first step in your experience at StudioXphys. We will also provide you with the tools and education to help prevent your injury from reoccurring and to minimise the likelihood of your pain returning. The first step to solving your problem is to have our Podiatrists assess your lower limb which is done at your very first appointment. The way your feet and legs are moving may play a contributing role to your pain, and without this being checked, we may be missing the underlying root cause of your problem. Making an appointment will ensure we are taking the first step towards removing your pain, achieving your goals, and challenging yourself to newer and bigger experiences. When it comes to looking after your health, it’s easy to forget about your feet. But given you could walk about 128,000 km in your lifetime, healthy feet are an important part of your overall wellbeing. Foot problems can have a huge impact on your quality of life. If they occur, we can help! It’s a good idea to take the shoes you normally wear on your first visit. Here at StudioXphys in Mudgeeraba, we can help with all of your Podiatry needs…. no matter how big or small so make your first appointment today with our Principle Podiatrist take the FIRST STEP and let us guide you to your ultimate goals!